Pregnancy is transformation in overdrive. It is beautiful and challenging, miraculous and overwhelming, blissful and intense; it is so many things all at once. As astounding as the physical changes are, equally amazing are the mental, emotional and spiritual shifts that happen in the journey to motherhood. Prenatal Yoga is a practice that can benefit both mother and baby by easing the physical discomforts of pregnancy, balancing emotions, reducing stress, and increasing awareness. It is a safe way to maintain fitness while pregnant and many of the poses can be used to support labor and birth. Prenatal Yoga is an ideal practice for this amazing time in a woman’s life. Prenatal Yoga is perhaps most known for the physical benefits that the yoga postures can provide. Common ailments in pregnancy such as back aches, sciatica, headaches, swelling, digestive upset, and fatigue can be helped with yoga. Numerous postures can also be used in labor (and leading up to labor) to encourage optimal positioning of the baby and support mother’s body in the process. Hip openers such as butterfly pose and lunges, such as archer pose, often feel great in pregnancy. Squatting has long been known to open the pelvic region and is wonderful to practice throughout pregnancy, in preparation for birth. (In the last six weeks of pregnancy, only use squats if the baby is known to be in the head down position.) For more yoga poses to use in pregnancy, read the post Prenatal Yoga: 4 Yoga Poses to Use Daily. In any practice, it is important to respect the body’s needs for rest and modification. Ideally, prenatal yoga can be practiced, at least initially, in a yoga class, under the guidance of a trained Prenatal Yoga Teacher. 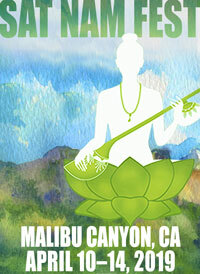 Gurmukh‘s DVD, Prenatal Kundalini Yoga and Meditation for Mothers-to-be , is also a nice option for practicing at home. The use of breath awareness adds tremendously to the benefits of a yoga practice. In fact, it’s just not yoga without it. Changing breathing patterns affects the body’s response mentally, physically, and emotionally. Breathing with more depth and fullness calms mom and provides more oxygen to both mother and baby. Increasing awareness of the breath and guiding it to become slow and smooth can reduce stress, encourage overall well-being, and can help mom surrender to the vast changes experienced in pregnancy and birth. Read the post Pranayama: Top 3 Breaths for Pregnancy and New Motherhood for three excellent breathing practices to use during this time. Science is confirming truths about human development and consciousness that Yoga has taught for thousands of years. It is now known that the thoughts and emotions of a mother during pregnancy greatly affect and imprint the fetus that grows inside her. The mother’s stress responses and tendencies begin to teach the child before they are even born. Meditation can be helpful for processing and releasing negative habits and emotional patterns. 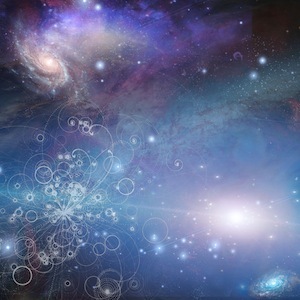 It also connects us to the most expansive experience of self, moving beyond our self-imposed limitations. Meditation is one of the sweetest gifts a mother can give to her child. For more information on specific meditations that can help with common pregnancy related issues, check the post Prenatal Yoga: Meditations for Pregnancy. Relaxation, a practice of surrendering and softening, can support the natural processes of delivery. Stress and resistance, on the other hand, greatly hinder – and can even halt – labor. 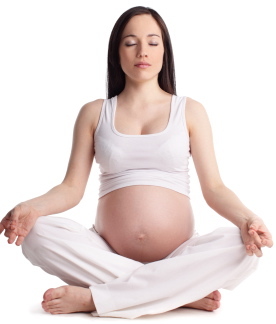 Relaxation is best practiced throughout pregnancy – ideally daily – and is part of every Prenatal Yoga class. In the later months of pregnancy, it is best to lay on the side, using pillows or folded blankets to support the body as needed. Using soft music can help. Some women enjoy affirmations or guided visualization at this time. Snatam Kaur‘s beautiful new CD, Divine Birth, was made especially for pregnancy and new motherhood and can be used in relaxation as well. Explore Prenatal Yoga as a holistic approach for peace and wellness in pregnancy and beyond.